It's a very sad day for me yesterday when I accidentally dropped my crumpler bag with my gadgets in it. 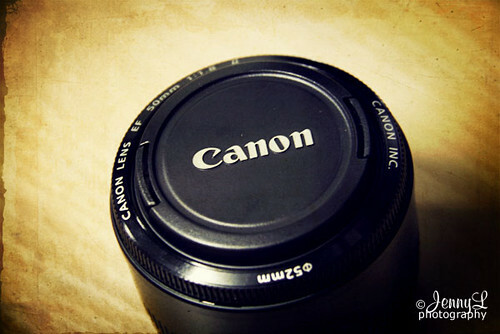 Really heartbreaking for me to not use my 50mm 1.8 lens bec. it's not focusing anymore. Now, I am stuck with my 18-200mm lens for now. I am still glad though that my zoom lens was spared or I will be doomed. We should really be careful with our gadgets bec. they are delicate and sensitive, just like the phone with GPS of my niece, it was almost unusable when she dropped it as well. Complete Story of my sad day HERE. Anyway, thought of adding a texture on my photo (thanks Riss for the inspiration), it added a drama on my broken and lonely lens. Sorry to hear about your accident..I hate when things like that happen! !